So I’m on the pursuit of happiness enjoying every moment in my life. Want to hear a story? Hopefully you do!!! I just landed at O’Hare and wanted to tell you about the trip I just had…. On the way to the airport this early in the morning there is no traffic no lines and everything was smooth just as I expected. I probably had a smile on my face the entire time I loved the drive, the parking, the check in, the security and the super expensive airport breakfast. Denver Omelet with potatoes and toast. I loved it it was awesome! Basically I didn’t even have to wait to get on the plane. It was all as smooth as it can be. I landed I’m Memphis Tennessee just an hour and a half later got my car and drove to the hotel. Just wanted a few minutes to relax have lunch before I went to the supplier. I enjoyed a quick lunch I love wings so I got a bunch. It was all great! Now with a full tummy and a great experience I was ready to meet our supplier and perform the audit. As usual I come in with a smile B.S. for 5 minutes and go to work. With the entire team we go over the agenda and things that we need to accomplish and then go from there. All smiles and positively looking at the entire process everyone is now relaxed. During the audit having an easy going personality helps the supplier loosen up and open up (it’s my strategy to have them open up so we can get more done because we are partners and working well together is key for our success!) Anyway the audit went really well we found many improvements and discussed future possibilities. Everyone was satisfied with what was discovered and we continued on with the meetings and process reviews. At the end of the day we all went out to dinner at the local spot and had the best wings and burgers. We had a conversation about the band setting up and discussing possible quality issues they can have (never stop talking about work) anyway we listened to some great music from a local band from Memphis and the day was over. Back to the hotel for me and setting the alarm for 4AM to catch an early flight. I had an hour and a half drive to the airport in the morning couldn’t even eat breakfast that early but I’m loving this. I dropped off the car got though security in 1 minute and tried some new food at Moe’s So I’m loving this new experience right now the trip was successful and to finish off the trip I had a few more minutes before I boarded the plane. I stopped at a souvenir shop and got my family some gifts. Nothing big but enough to show that I think of them and that’s true because I miss them. Anyway Starbucks and a souvenir Tennessee Coffee mug later I’m on the flight back home. On the way home I finished my 54 page report from the audit and prepared the email to send (no WiFi on this plane but I made it work) saved the email and sent it later. I was on such a high you know flying Like 30,000 feet in the air lol. This idea came to me to document the trip and help everyone who has a position like me that even traveling to Mississippi nowhere can be fun. Half of this I wrote on the plane after my work was complete. Now I’m at home just editing and preparing to publish. I’m making the best of everything and enjoying every minute of it. I really just want to inspire you to have fun no matter what. So go in with a positive optimistic attitude and make the best of everything. I made a routine trip memorable you can do the same. Oh and here is me sitting in the cockpit of the plane we were on. Thank you Captain for the new experience! The best part of the trip was coming home to our family. 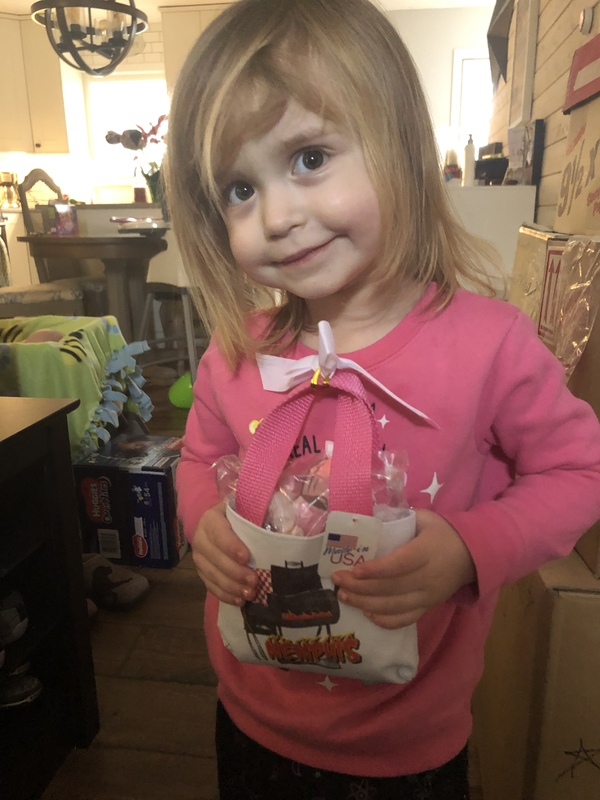 Molly was super exited and she loved her candy I brought home!